Are you looking for affordable grounds maintenance in Romsey? Then look no further than us. With some help from the team here at Nightingale Ground Care, we can take care of your grounds duties and leave you to deal with more pressing matters. Whether you need the grass cut, hedges trimmed or require a litter picker, we are here to help. Whilst we understand that we are not the only providers of grounds maintenance in the area, we do all we can to separate ourselves from the rest. Not only do we offer years of experience in our field of expertise, but always ensure that we keep clear and concise communication throughout our time spent with you. We are proud to offer some of the most competitive prices around, and we think you'll find our rates more than reasonable. We aim to give all our clients a first-class service each and every time, and work hard to go the extra mile to ensure you're happy with us. 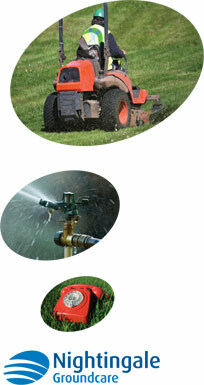 Trust in Nightingale Ground Care for a service that is reliable, affordable and trustworthy. If you would like to learn more about our services, feel free to browse through our website to find out more. To speak to the team about using our services, simply call now on 01794 323606 or fill out the contact form and we will respond as soon as we can.